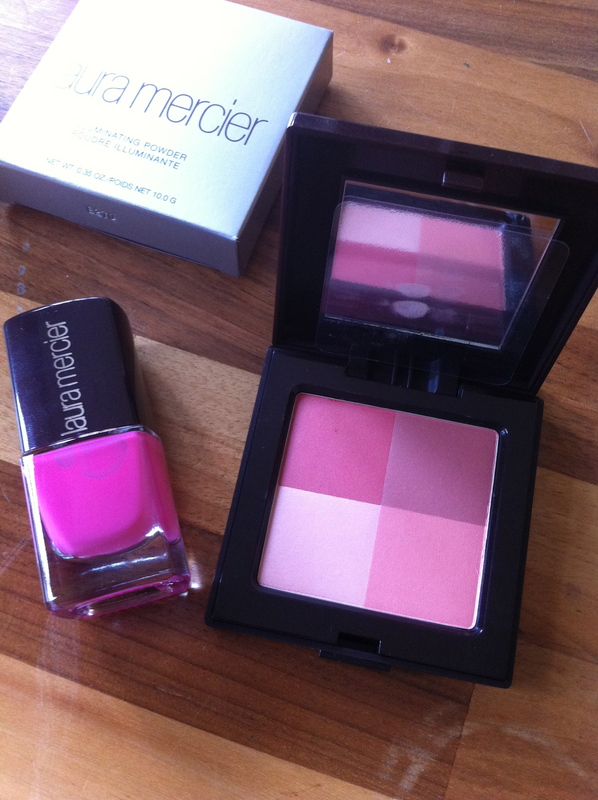 The nail varnish on the left is part of a limited collection varnishes that Laura Mercier has brought out, which are ‘chip-resistant, fast-drying and long-lasting’. More importantly, this limited set of nail lacquers does not contain formaldehyde, toluene, or dibutyl phthalate (DBP). The colour I bought is Flamingo, which is basically a lovely, luminous pink, perfect for toes. And here is a picture of my toes to prove it. (Please insert prefuse apologies here for posting pics of my toes etc, but I still have my gel nails on my fingertips, and this is the only place I could test it!). These nail varnishes came out in February, and are part of a test-run apparently. LM may bring out more colours depending on how popular these prove to be, so grab one while you can! Personally, I love, love, love this shade, and can see myself wearing it all summer long, not least as the price is a mere snip at £12.50. « Kids need air…even little London ones.